Board Member of Giorgi Akhvlediani Society for the History of Linguistics. Since 1985 one of the compilers, editors, then editor in chief and publisher of the Comprehensive English-Georgian Dictionary (14 published volumes; online version – www.dict.ge, comprising 110 000 entries). Editor of the English-Georgian Military Online Dictionary (10 000 entries http://mil.dict.ge), English-Georgian Biology Online Dictionary (23 000 entries http://bio.dict.ge) and English-Russian-Georgian Technical Online Dictionary (18 000 entries http://tech.dict.ge). Tinatin Margalitadze studied linguistics and English at Iv. Javakhishvili Tbilisi State University (TSU), Georgia. She did her postgraduate studies at the Chair of English Philology of TSU and in 1983 defended her candidate’s thesis (PhD) “Structural and Semantic Characterization of Adjectives in Modern English”. In 1989 she participated in Teacher Training Courses at the University of Surrey, Great Britain. In 1997 she was a visiting scholar at the Department of Linguistics, Cambridge University, Great Britain and in 2011 a visiting scholar at the University of Turin. In 2009 Tinatin Margalitadze launched MA and in 2011 PhD programs in lexicography at TSU. She is one of the initiators and organizers of Batumi International Symposia in Lexicography (the first symposium was held in May 2010, the second – in May, 2012). 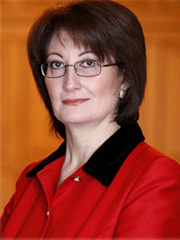 Her research interests include: bilingual lexicography (general and specialized); the problem of equivalence in non-related and related languages; universal models of polysemous words; semantic structure of a word and dictionary definitions; history of Georgian bilingual lexicography; parallel corpora; corpus-driven lexicography.